An honest discussion of how Scientology has enhanced the lives of people all across the world. 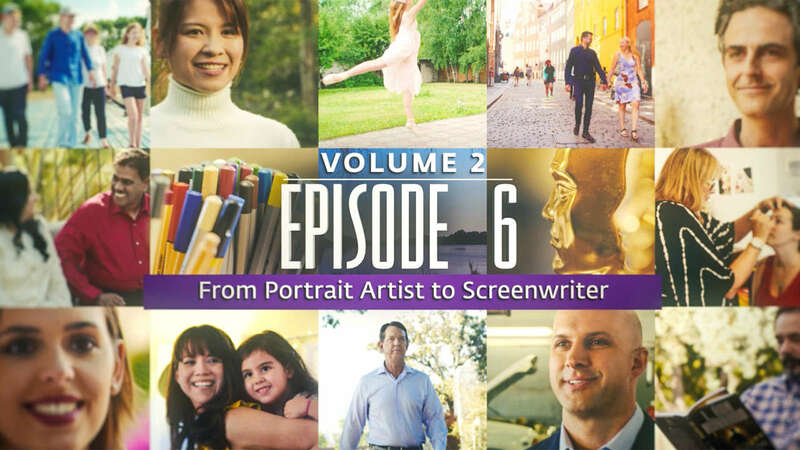 From business people to stay-at-home moms; songwriters to sculptors, hear stories from the people whose lives were transformed by Scientology. Meet Angela, a portrait artist from the United States. “For me, Scientology is the solution for my problems,” says Angela. Meet Alejandro, a police commander from Mexico. “Scientology means to me being committed,” says Alejandro. Meet Dennis, a rancher from the United States. “Each animal, I have to study about,” says Dennis. Meet Gianluca, a goldsmith sculptor from Italy. “Scientology for me means a lot,” says Gianluca. Meet Rhiannon, a mother from Australia. “Scientology means a lot to me,” says Rhiannon. Meet Romney, a general contractor from the United States. “The miracle that I’ve experienced in Scientology is being able to live the life that I dreamed up,” says Romney. Meet Maria, an artist from Venezuela. “With Scientology, I have achieved a lot of things,” says Maria. Meet Rian, a shoe salesman from South Africa. “Before Scientology I would just live to relax and do as little as possible,” says Rian. Meet Faheem, a cleaning company CEO from the United States. “Since I’ve been in Scientology, it helped me a lot,” says Faheem. Meet Nicolas, a student from the United States. “Using Scientology Study Technology, I was able to get a lot farther in my studies than I otherwise would have,” says Nicolas. Meet Andrey, a captain of a sailing yacht from Russia. “Using the knowledge of Scientology, I can quickly handle any conflict,” says Andrey. Meet Mary Anne, a makeup technician from England. “Scientology means to me the ability to live my life and be happy,” says Mary Anne. Meet Hsin-Hua, a human resources manager from Taiwan. “Scientology means to me that no matter what I run into, I know something can be done about it,” says Hsin-Hua. Meet Ryder, an artist and musician from the United States. “Scientology technology has been invaluable for me,” says Ryder. Meet Louie, a marketer from Canada. “Being a Scientologist, I can communicate better. I can help others a lot better,” says Louie. Meet Livia, a mother from Slovakia. “My most favorite course was Personal Values & Integrity,” says Livia. Meet Jimmy, an entrepreneur from the United States. “Scientology is part of my life—it helps me win in life,” says Jimmy. Meet Tamás, a company owner from Denmark. “In Scientology I learned how to handle everyday life problems,” says Tamás. Meet Nola, an audiologist from the United States. “Being a Scientologist, I’m learning more about myself and about other people—about communication,” says Nola. Meet Ana, a finance director from Brazil. “Before Scientology I had a life with the same routine,” says Ana. Meet Tim, a lawyer from the United States. “Being a Scientologist is being able to be calm in the middle of a hurricane,” says Tim. Meet Diana, a fitness coach from Russia. “Probably the biggest problem I had in my life was I didn’t know what to devote myself to and what to get busy with,” says Diana. Meet Roman, a bass player from the United States. “Scientology means to me the freedom to be able to be myself,” says Roman. Meet Julia, a teacher from Canada. “Scientology helps me tremendously,” says Julia. Meet Delia, a screenwriter from the United States. “Scientology, to me, is a way of life,” says Delia.